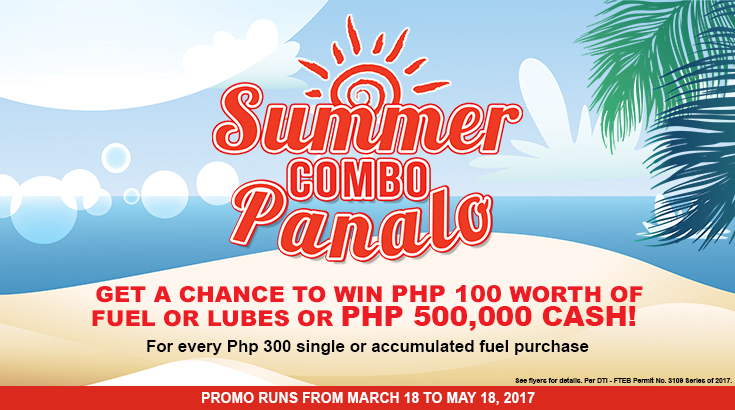 Phoenix Petroleum Philippines welcomes the summer season with an exciting raffle promo. Lucky motorists will get the chance to win Php500,000 worth of cash in the grand raffle draw or Php100 worth of Phoenix fuels and lubricants instantly. 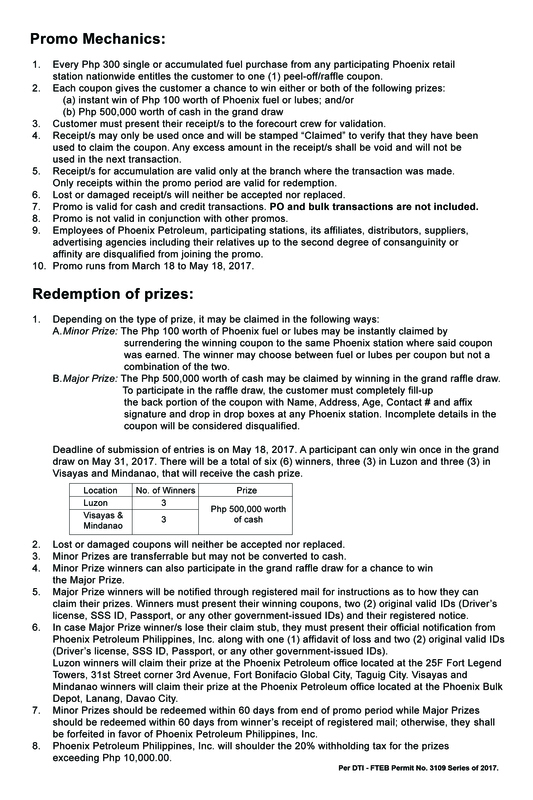 Three lucky winners from Luzon and three lucky winners from Visayas and Mindanao will each win Php 500,000 worth of cash in the grand draw on May 31, 2017. Every Php 300 single or accumulated fuel purchase from any participating Phoenix retail station nationwide entitles a customer to one peel-off/raffle coupon. Each coupon gives the customer a chance to win either or both of the following prizes: instant win of Php 100 worth of Phoenix fuel or lubes; and/or Php 500,000 worth of cash in the grand draw. Minor prize winners of the Php 100 fuel or lubes can participate in the grand raffle draw for a chance to win the major prize. To participate in the raffle draw, customers must completely fill-out the back portion of the coupon and drop in drop boxes located at Phoenix stations. The promo is open to all participating stations nationwide from March 18 – May 18, 2017. Visit the nearest Phoenix station and you could be one of the lucky winners.